In the controversy created around the case of the San Bernardino murderer, John McAfee steps between FBI and Apple. The Federal Bureau of Investigations has prompted Apple to decrypt the phone of the murderer, but the company has refused to create what they call a “backdoor” leading to the downfall of the United States. This is where John McAfee comes to save the day. It all started when the FBI wanted to gain access to information from Syed Farook’s phone, the San Bernardino murderer. This has led to the possibility of compromising the preservations of liberties and cybersecurity, which will ultimately mean the fall of America according to some. In this light of possibilities, Apple CEO Tim Cook has opposed the order for creating a backdoor to the smartphone of the company. His explanation was that such a change would affect all iPhones on the market, and as a result all security of the users will be compromised. FBI has assured them they would only use this backdoor for the case of the San Bernardino shooter, but the major company doubts their declaration. John McAfee, eccentric millionaire, cybersecurity expert and Libertarian presidential candidate wishes to personally hack the phone with his team and thus save both Apple and FBI from a lot of trouble. In his opinion, creating this backdoor stands for a pre-emptive surrender in terms of cyber war. If the government has its way in this matter, they will create a backdoor into encryption as a whole, since protecting this backdoor is nearly impossible. McAfee also made a point out of the fact that the U.S., unlike its competitors Russia and China, refuses to hire people with “a 24-inch purple mohawk, 10-gauge ear piercings, and a tattooed face who demands to smoke weed while working and won’t work for less than a half-million dollars a year”. In terms of cyber war, states must make use of all resources they have and leave stereotypes behind. McAfee offered to decrypt the San Bernardino phone for free. He also stated that the procedure will involve social engineering and will probably take about three weeks. 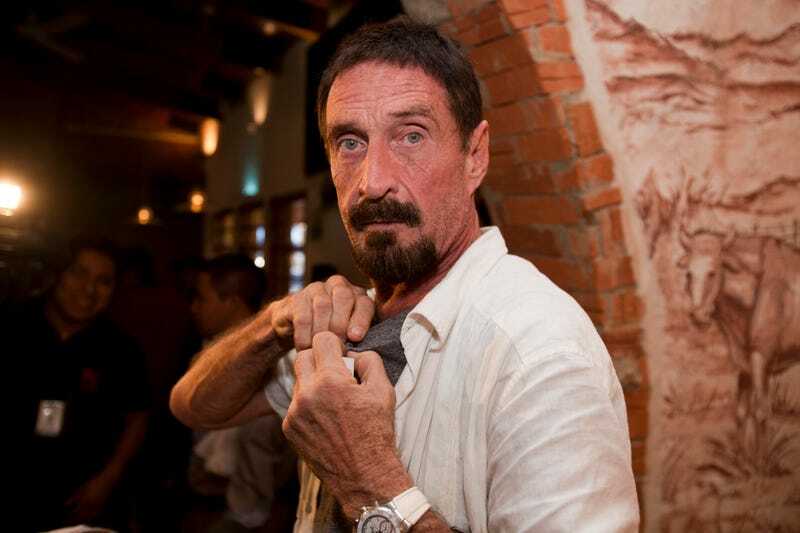 The offer seems to be the best solution in the current situation, if McAfee can live up to the expectations. His team sounds promising, since he has named them “talents that defy normal human comprehension”, and is made up from social engineers and coders. John McAfee steps between FBI and Apple and offers what seems a viable solution in this controversy. However, it remains to be seen if he will be allowed to proceed, and then if he will be successful. If not, he will have to eat his shoe on public television as he has stated on Business Insider.